The seized ornaments were returned to their respectiveowners at a public function at Kumar Gandharva Ranga Mandir on Friday by the police officials in the presence of Minister Satish Jarkhiholi and MLA Saith. The police had arrested two members of the gang on April 6. City police commissioner S. Ravi had formed four special teams to arrest other members of the gang. The city police have recovered over a kg of gold jewellery taken away by chain-snatchers belonging to the inter-State Irani gang from Pune, a month after some members of the gang were arrested. 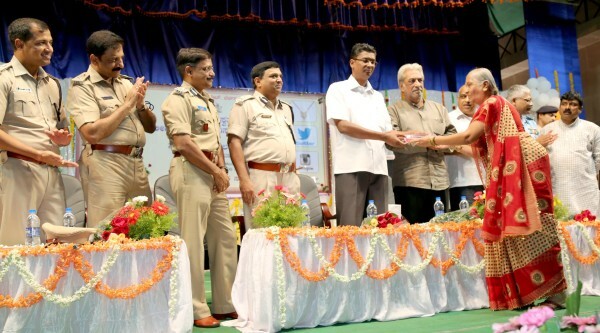 Good Work Belgaum Police , great initiate by the COP….Keep it up..